An act of FAITH…spring will arrive, eventually! SPRING FEVER…Fresh pansy blooms gathered after snow melt…and a few days of warmer temps. Always a lovely reminder of what will happen as days grow longer and sunny days return! I planted quite a few pansies last fall in containers and around rosemary in a few sheltered spots…these are remarkably hearty plants. SURPRISE, a few pretty pansy faces are poking through the snow!! With sunlight, some compost and moderate temps, these little plants will begin to bravely bloom well into the heat of summer. Growing Asparagus…it thrives when grown organically. Start preparing your “bed” now, or as soon as soil is workable. 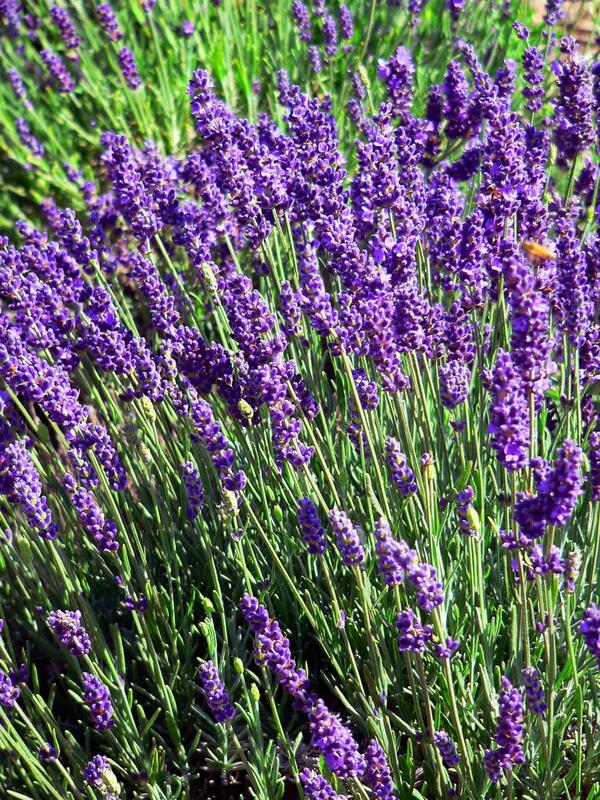 It grows best in full sun and prefers loose and loamy soil, but can easily be grown in raised beds with lots of good organic matter. Buy one or two year old crowns for planting in late February…or, with all the snowfall so far, wait until that is gone and then be ready to plant. Dig a trench prepared with bone meal or rock phosphate and compost. Soak crowns in seaweed water overnight, fan the roots out over a small mound of soil and then cover with good organic material. FIRM the soil around the crowns. Keep bed well-watered. 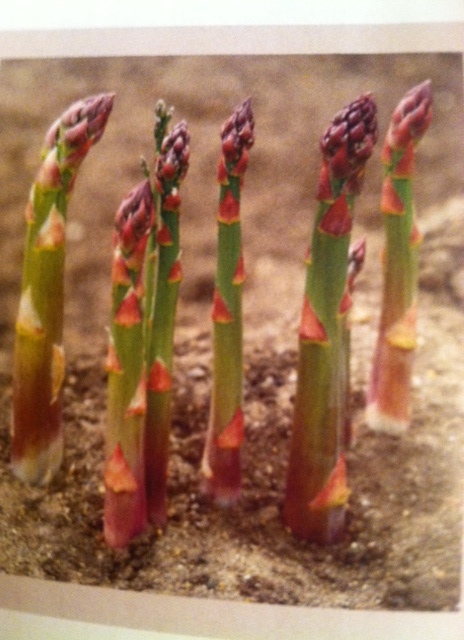 RESIST cutting any spears the first year, cut lightly during the second and finally…enjoy during the third year. As you harvest, cut spears just below soil level…never in mid spear! Clean/weed bed in fall and mulch with compost. SPRING Greens…if you have kept your cold frame warm and working, you now have some fresh salad material…or you made a trip to WHOLE FOODS MARKET…well, it’s time to make a traditional spring salad, usually associated with dinners on the patio in the south of France! Just dreaming as usual…but true when you’re there! 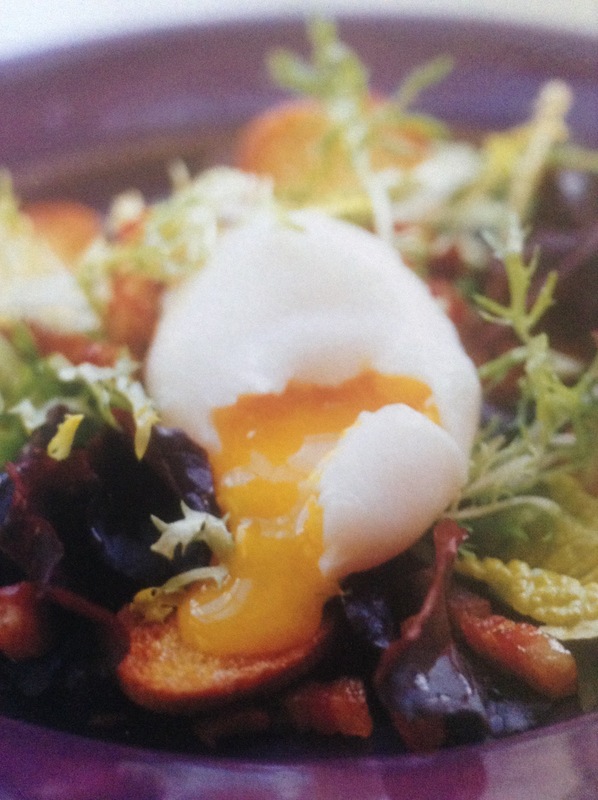 Use a mix of fresh greens, crisp lardons/bacon, some “just cut” asparagus and top off with a perfectly cooked egg…make a nice lemon vinaigrette to dress the salad. Viola! 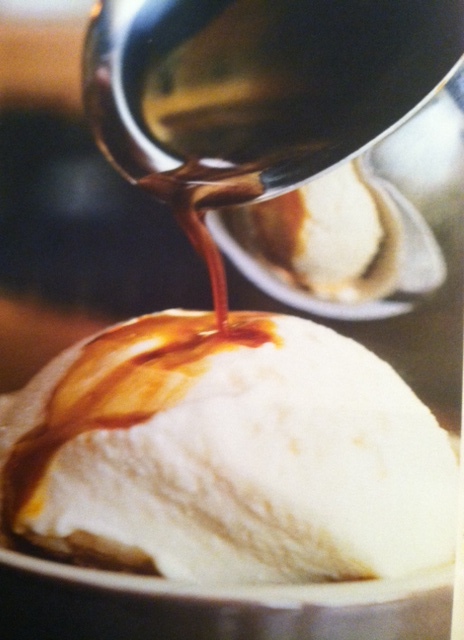 Make AFFOGATO...a scoop of superb vanilla gelato in an equally nice dish, topped with a drizzle, or more, of rich, steaming espresso…as the two blend together it is just dreamy! Of course, if you can’t drink espresso at night, can’t imagine that…Try using really good hot cocoa poured over the cream…It is sooooo good! I make my own ice cream when I want to splurge/indulge on this treat…simple and only takes an hour or so…If or when I have a problem falling off to sleep…I use Valerian tea to promote melatonin which helps me fall asleep! ‘Course I usually “nod-off” after just a few pages while reading in bed at night! Coffee does not bother me, though! I have always known it was NOT BAD for you, and believed it had good health benefits…and once again Doctors are now saying the same! PEARS, Bosc are still available now! Of course, I really couldn’t stop with the AFFOGATO…pears poached in wine are quite delicious and especially nice with a few bites of gorgonzola, baguette pieces, too, and…WINE!! 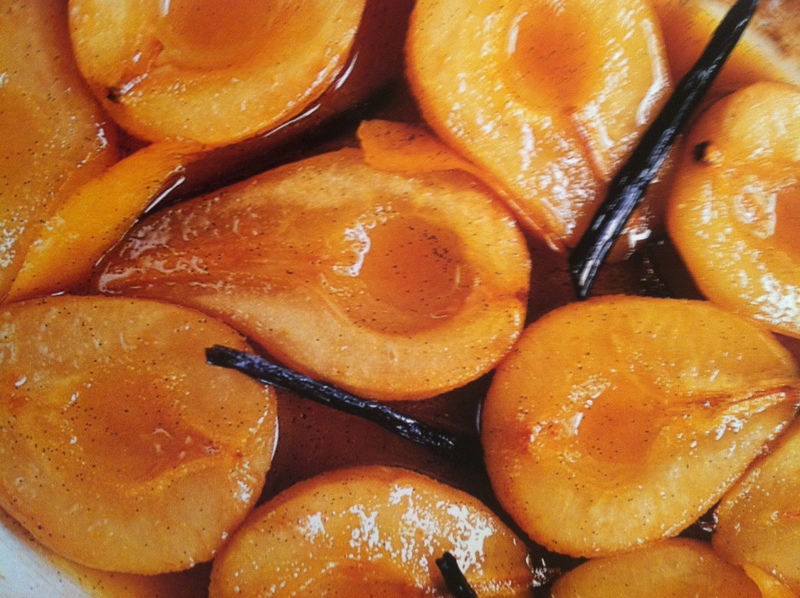 Simple, just choose a nice rose’ or maybe a good red and simmer pears, covered in wine, gently, till slightly tender…you could add some sugar if you need to which will thicken syrup a bit, along with vanilla beans to add more flavor. TIPS:Store pears standing up in a cool dry place but NOT IN REFRIGERATOR; a drop of wax at the end of the pear stem will help pears last longer! [I just light a candle and let some wax drip on stem, simple.] Speaking of STEMS…NEVER buy apples without stems!! Garden Photographs…All year long I take photos of my garden…from early morning light filtering through the trees to the colors of sunset as a backdrop for blooming roses and perennials. Jeanine and I often SHARE our garden photos with one another, especially nice when a bloom or a butterfly or other wildlife produces that magical moment. A photograph can only be a shadow of the beauty that unfolds throughout a garden. Seeing what is captured in an image…that fleeting, ephemeral moment can often move me to tears. One of the most dramatic migrations…along with the hummingbird…is that of the monarch butterfly. Monarchs migrate as much as 2,500 miles, starting as early as the end of August; by late October, they’ve gone from virtually all of the states, gathering huge colonies in Mexico, getting ready to hibernate the winter away!! Smart cookies! Monarchs can actually fly as high as 10,000 feet at a speed of up to 10 miles an hour…all on a wingspan of about 4 inches!! It seems impossible, but this is a yearly event that stretches back to an era before recorded time…just imagine! March is here, in like a lion! Hopefully we have lambs in our future! ‘ Till next time, Love from Patricia and Holly…I’m the one on the left…Holly has problems with the computer mouse! Next Article Shhsssush! Don’t Say It, but just maybe…spring is coming!